Claire joined CLA in 2009 and obtained her RIBA Architectural Qualification in 2012 whilst training as a graduate at CLA. Claire's experience covers a range and scale of projects within different sectors but she has gained extensive experience working within the healthcare sector on large scale projects from inception through to completion. 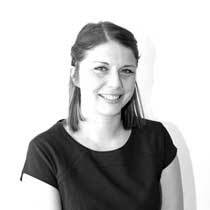 She is also part of the team leading BIM integration across the office.